I am definitely out of Standard mode and into Daylight Saving mode. I wasn’t so sure it would happen last week. I took me a few days to get cranked up. I think Friday really did it for me. It was in the upper 70s and I could sit outside and look over the water. Even though it has cooled down and rained, I still feel good. I made two of these for our bedside tables. Sweetums had asked for something for his, so I made a matching set. It was a lot of fun, but it used a lot of embroidery thread, almost a 1000 meter spool. I made these from a fat quarter bundle. There’s still a lot left. I could make runners for our dressers. It would look better than what is there now. Maybe. 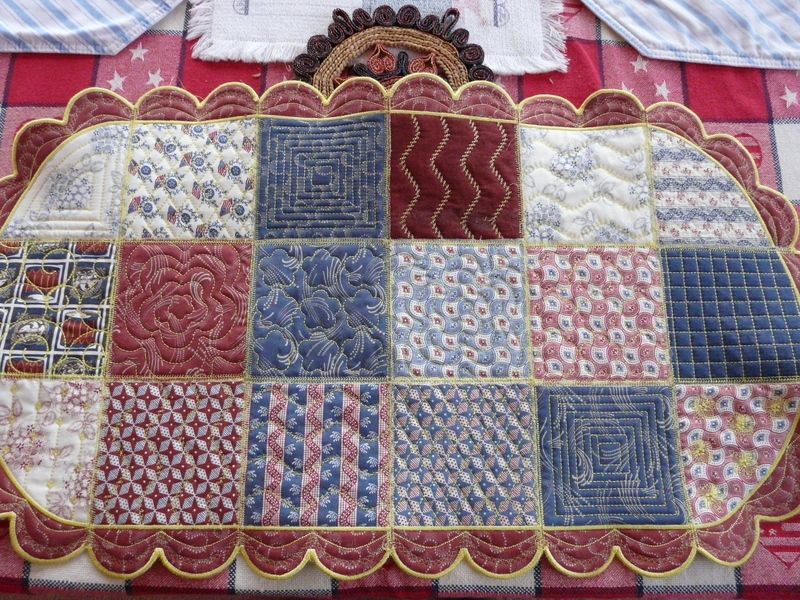 The thing is– I’ve all ready started a small quilt. It should cover the dining room table. This hat is going well. I am almost ready to start decreasing which may get a little tricky. I don’t want the decreases to look too obvious and still keep the same look. I am going to need some quiet time. I’m going to Reisterstown for a few days, so maybe then when my son is at work. Who am I kidding? I’ll probably go shopping. I’ve all ready printed out the JoAnn’s coupon and am thinking about which yarn shops to visit. 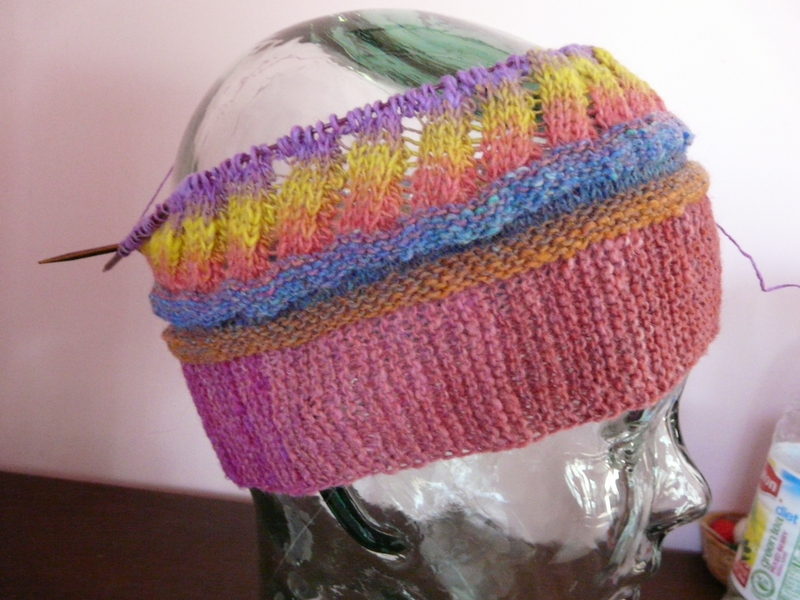 This entry was posted on March 22, 2011 at 4:48 pm and is filed under Family and Friends, Knitting, Sewing. You can follow any responses to this entry through the RSS 2.0 feed. Both comments and pings are currently closed.